Hi sunshine! How is everyone? Want to share this recent purchase with you. I got a gift card from Steve Madden over the holidays and finally got around to using it yesterday. 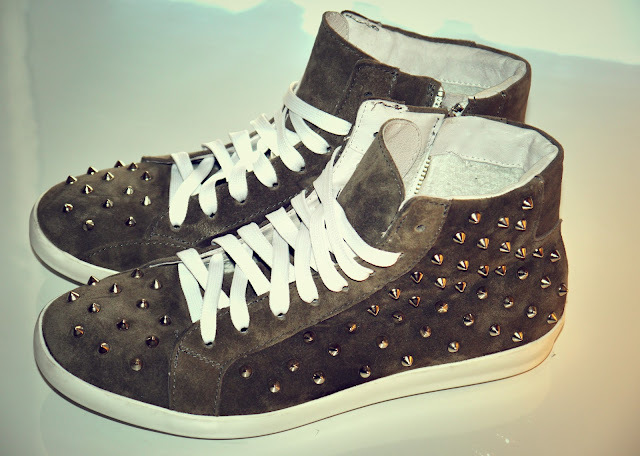 I got these super cute spikey sneakers that totally remind me of the Christian Louboutin ones, but obviously for a fraction of the price! They are called "Twynkle" and are in the taupe shade. They're quite edgy but I think they will look great with white shorts and a flowy top for the spring and summer... boho chic? :) When I first got them however, they looked a little different - the white rim on the shoes and the laces were grey and dirty, made to look "worn", but just cleaned it off by using nail polish remover and changed the laces to bright white, and voila! Annie! I always swear we have the same taste. wow! just amazing! great sneakers! 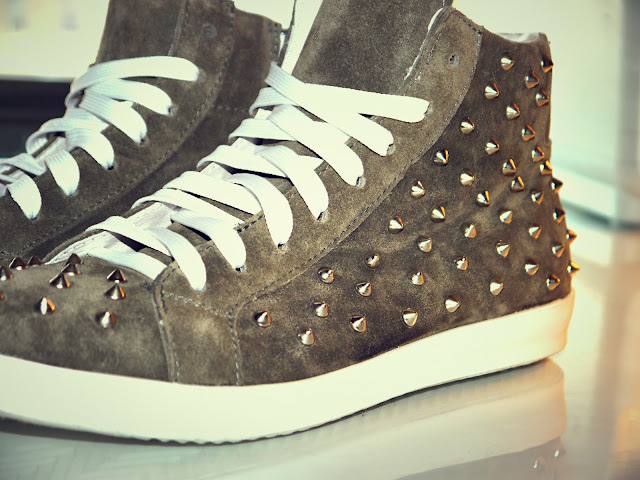 omg i love those sneakers, those spikes can become an awesome DIY project! 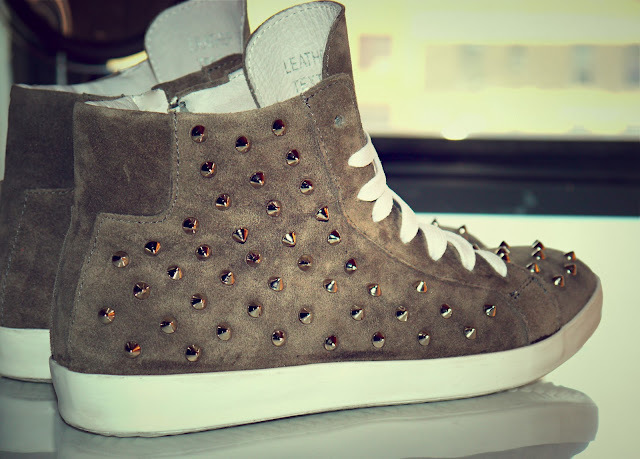 i like the sneaker and the gray suede but the spikes aren't all that, but i bet you can pull it off annie. They are okay. They aren't like everyday wear thats for sure. Can u put a photo where we can see this shoes with a jzans to see how exactly there are?